A history of LA’s iconic luxury eyewear brand. If you were to go through the shelves at a sunglass store, the odds are pretty high that many of the frames are inspired by the classic aesthetic of Oliver Peoples sunglasses. Assouline looks through the history of the famed eyewear brand and will even be releasing a limited edition sunglass that is inspired by an archival Oliver Peoples piece. “Beginning with a chance discovery of vintage frames at an estate sale in the late 1980s, Oliver Peoples was launched as an optical boutique on the iconic Sunset Boulevard. With a culturally distinctive and understated approach to luxury, the brand is rooted in the spirit of California with a global following of tastemakers and eyewear enthusiasts. 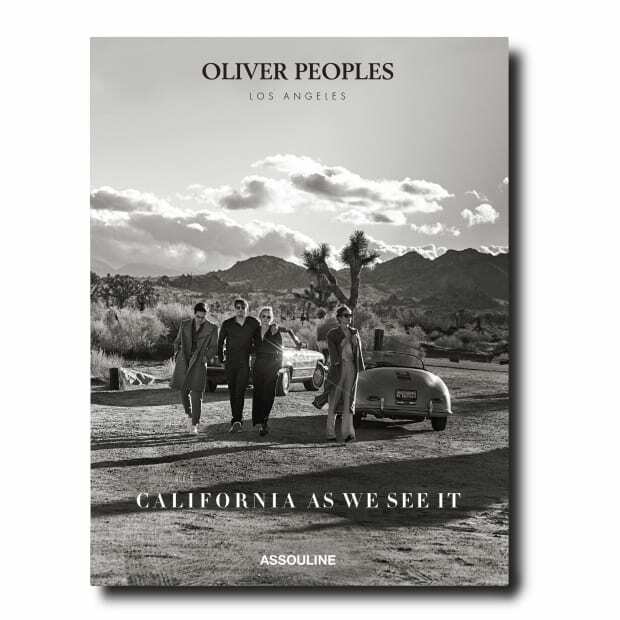 The unique lifestyle of Los Angeles, with elements of film, art, architecture, music, and fashion, remains at the core of Oliver Peoples inspiration. This book invites readers on a visual journey, sharing an intimate experience of California through the lens of the brand’s history. This entry was posted in Uncategorized and tagged Assouline, Eyewear, History, Lenses, Looks, LUXURY, Oliver, Peoples, pioneer, Through by . Bookmark the permalink.